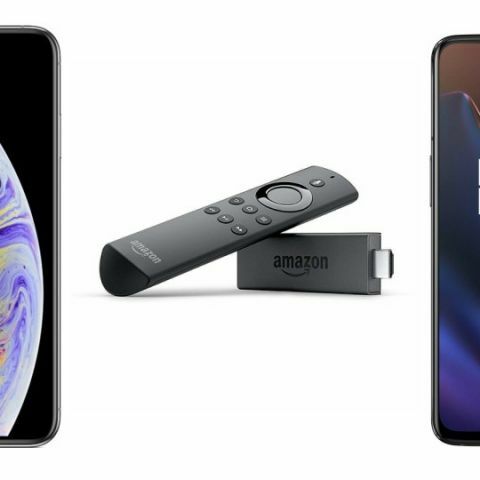 The year 2018 is about to end in a few days with that, Amazon has already started offering some great deals on plenty of gadgets such as smart TVs, smartphones and more. The Amazon currently has some great offers on its platform on a wide range of gadgets. The e-commerce giant is offering a considerable amount of discount on TVs, smartphones, Amazon devices and more. The Amazon has also collaborated with HDFC bank and offering up to Rs 1,500 instant discount on selected products. So without adding further, let’s just take a look at the deals. The Amazon Fire TV Stick is a media streaming device that connects to your TV via an HDMI cable. The device turns your old dumb TV into a smart one and allows you to stream movies, videos, and music from streaming apps like Netflix, Hotstar and more. The device is currently available in an offer for Rs 3,199 down from its original price of Rs 3,999. Check out the product here. The Apple iPhone X was launched last year in India at a price of Rs 91,900. The phone comes with a 5.8-inch notched Full HD+ display and a dual camera setup at the back. It is available on Amazon for now Rs 74,999 down from its MRP of Rs 91,900. Check out the deal here. The OnePlus 6T was launched a couple of months back in India with a Qualcomm Snapdragon 845 processor and in-display fingerprint sensor. The device is now available on Amazon with up to Rs 1,500 discount for those who have HDFC bank debit or credit card. The offer is applicable on EMI transactions. Check out the deal here. The Mi 49-inch Full HD Android TV is now available on Amazon at a discounted price of Rs 30,500. The offer is valid only for those who have an HDFC bank debit or credit card. Check out the product here. What is Amazon Fire TV ? Is it a LED Monitor or anything else. Any one can Advise me for Amazon Fire Phone? moto x play and moto x style camera ?